Solving IT puzzles: Reactive extensions ... I need to do something with that! 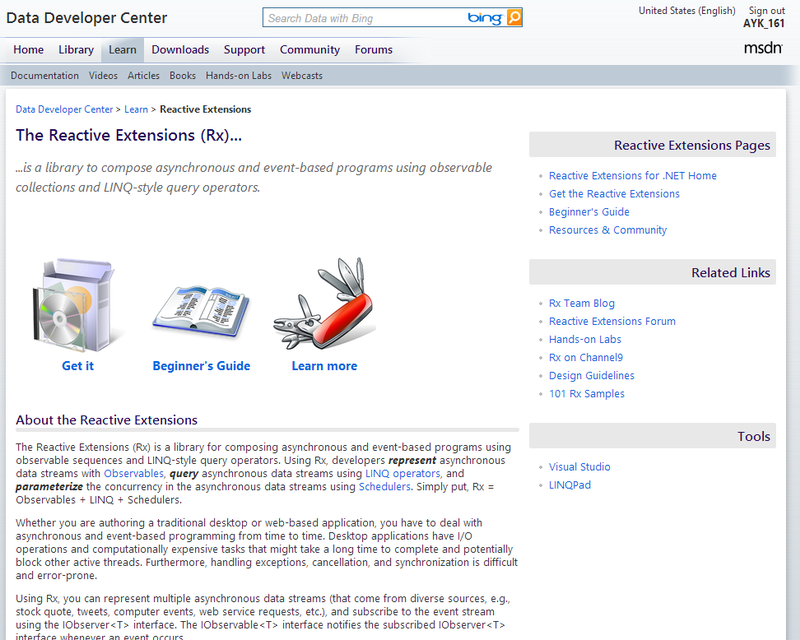 Reactive extensions ... I need to do something with that! When I was at the Microsoft Techdays in The Hague, I attended talks by Bart de Smet. This guy is a brilliant programmer and brilliant speaker. He's working on amazing projects right now at Microsoft in Redmond. By using reactive extensions you start working with events like streams that can be queried by LINQ. That makes things VERY easy that used to be tedious tasks. It's available for all languages by the way! I'll look into it and post it here as soon as I've got somehting.